At the Garland Block Party on Saturday, people stepped up the window of the Original Phat Truck to order burgers, fries and Phat Fidels for the last time, whether they knew it or not. 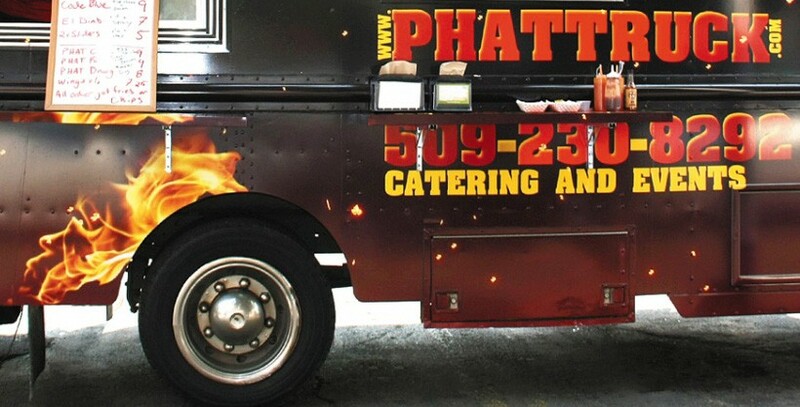 General manager Stoakley Lloyd confirmed today that the Phat Truck is permanently closed and the truck will be put up for sale. Lloyd says they appreciated the support of loyal fans — “I don’t blame Spokane,” he says — but found that it’s a hard business, especially during the winter months. The truck debuted at last year’s Pig Out in the Park and served up favorites like the catfish sandwich and specialty burgers at Elkfest, Hoopfest and other events after going into hibernation for part of the winter. Lloyd says he wouldn’t be against it if someone else wanted to carry on the name and the menu, but so far interest has mostly come from restauranteurs looking to start their own food truck. “It’s a tough job, but we had a lot of fun,” he says.